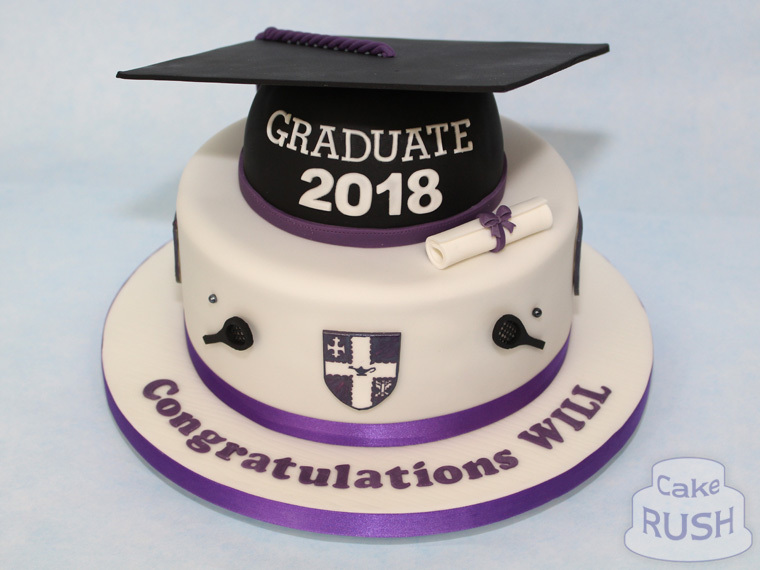 Will graduated this year at Loughborough University! We made him this chocolate cake featuring a mortar board and diploma. 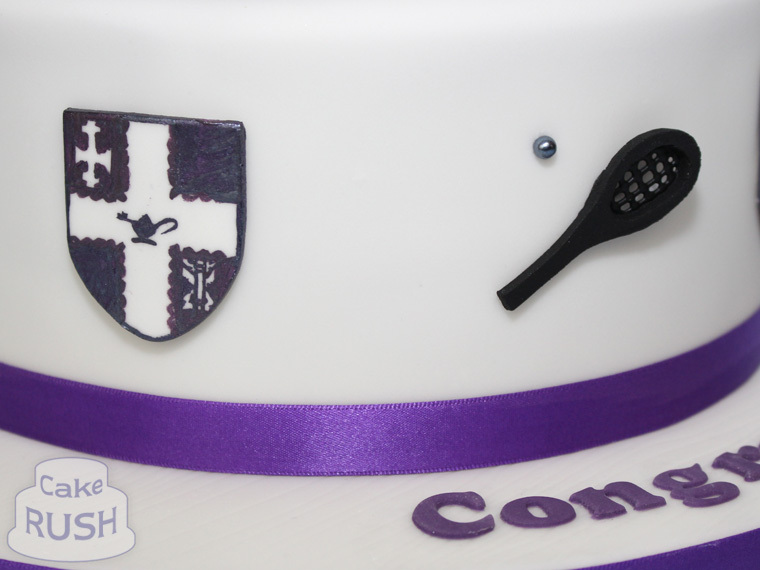 We added the university logo and some squash racquets (he was on the team).